Work'n Man's Life: Going Barefoot in the Wilderness.. Going Barefoot in the Wilderness.. Following up after a 2 month run (hehe) with these barefoot, "Free Your Feet" socks from the [Swiss] Barefoot Company. I will admit that despite my initial youthful nostalgia for the notion of once again frolicking barefoot (without fear for cuts/abrasions), I certainly wasn't expecting this experience to be what it became. After a gentle "walkthrough" on our soft mountain trails, I then decided to really put these to the test! 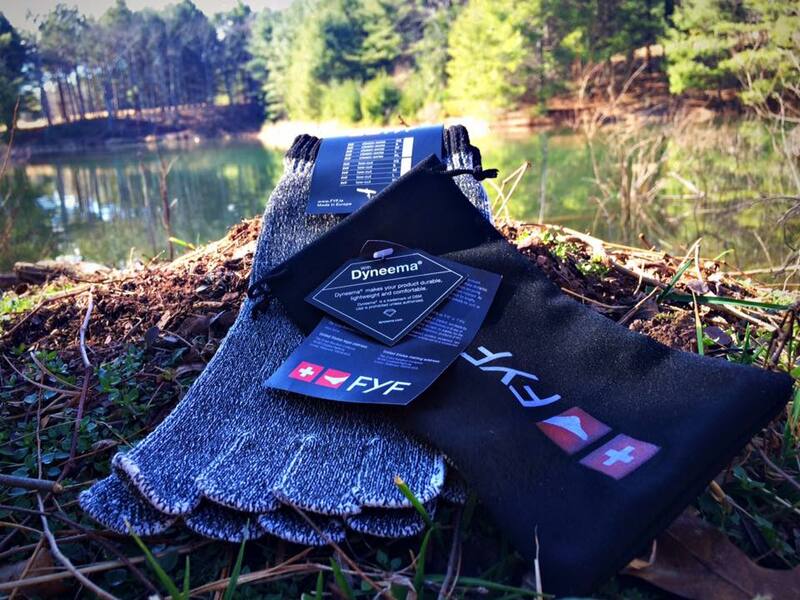 Made of Dyneema (the world's strongest fiber), the FYF presents a minimalist approach to outdoor footing while providing protection from cuts, abrasions, and other damage that may occur from going barefoot. Although claiming to be 15 x's stronger than steel, these socks are breathable and feel as natural as the ground beneath them when worn. = Read the SPECS here: Barefoot Company. I wore these exclusively for several days of outdoor activity (at home, and in far away places) in the mountains, while running, while rock climbing, while at the beach, walking down a paved road, and while just fiddling around. I was truly impressed with not only how well they protected my feet from -otherwise- hazardous terrain; but also at how relaxed my feet and legs felt at the end of each day. I should also make mention of the fact that my left ankle is malformed from a multiple fracture from over 10 years ago. Even at that, my feet were not hurt once during use other than an random stubbed toe while rock climbing. Climbing up and down sharp stones and sprinting across oceanside cliffs was an exhilarating experience in itself; though the only pitfall of these socks that I must note is that they do not seem to be puncture proof to small thorns (of which I twice had stuck in the soles, but quickly plucked without any penetration of my actual foot itself). Disclosure: Work'n Man's Life received a sample pair of FYF Barefoot Company socks for this review. The opinions expressed in this blog are solely those of author and have in no way been influenced by or reflect those of Barefoot Company. Have a product you'd like me to review? Travel theme. Theme images by andynwt. Powered by Blogger.